The fencers were the last group to go on a trip. 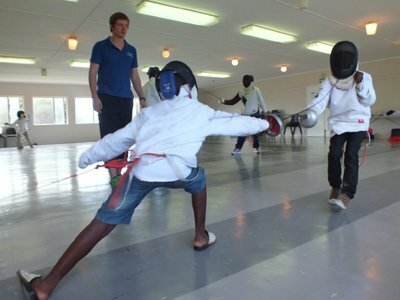 We couldn't find a competition, so we went to Port Elizabeth for a clinic for some PE fencers and us by top fencer Jon-Paul Raper and his mother Jessica. Jon-Paul shared new fencing drills he learnt in Europe. We finished the workshop with a small competition. Mandilakhe Nikelo won the mini and Anele Dasa the junior competition. For most fencers it was their first time in PE. 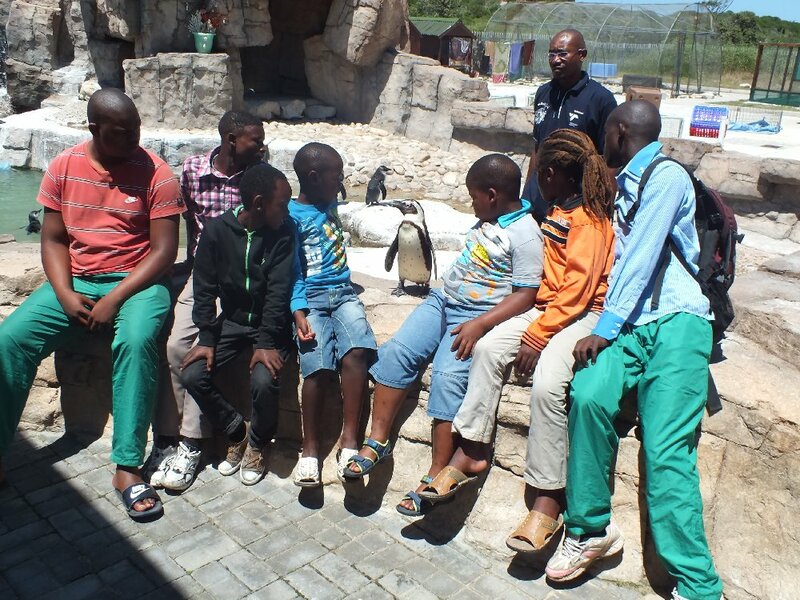 To make the day extra special we visited the SAMREC penguin hospital in the Cape Recife Nature Reserve and Boardwalk. 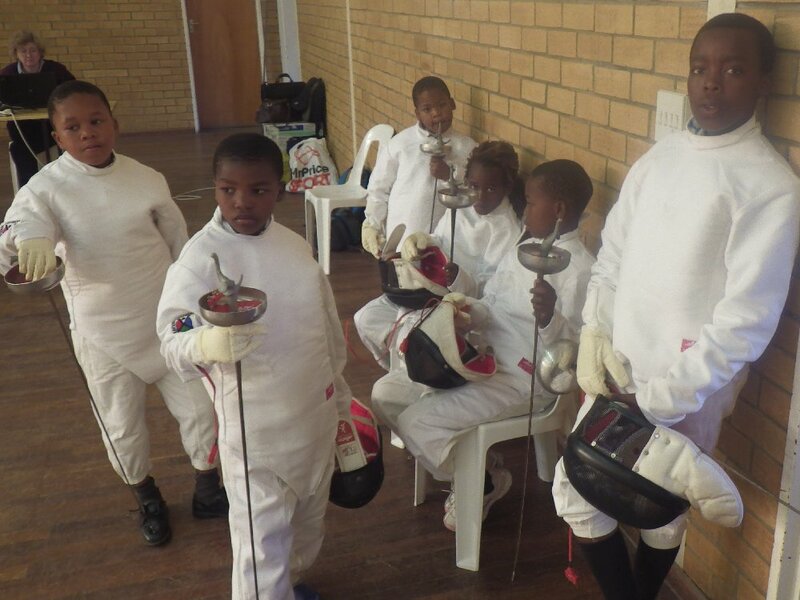 It was the first time for Nemato fencers to participate in the South African Junior Championships. Five fencers competed and Aphelele Hlekani and Anathi Rasman reached the semifinals. Well done! 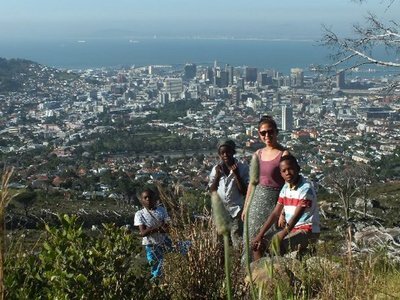 The competition was in Stellenbosch and the selected members deserved a special treat: two days to see the sights in Cape Town. We visited many places including the Victoria and Albert Waterfront and the beautiful Two Oceans Aquarium where we saw sharks and penguins as well as the rare Pipe fish which you can only find in nature in Port Alfred! We'll keep a look out! On Monday we visited the World Heritage Site, Robben Island. 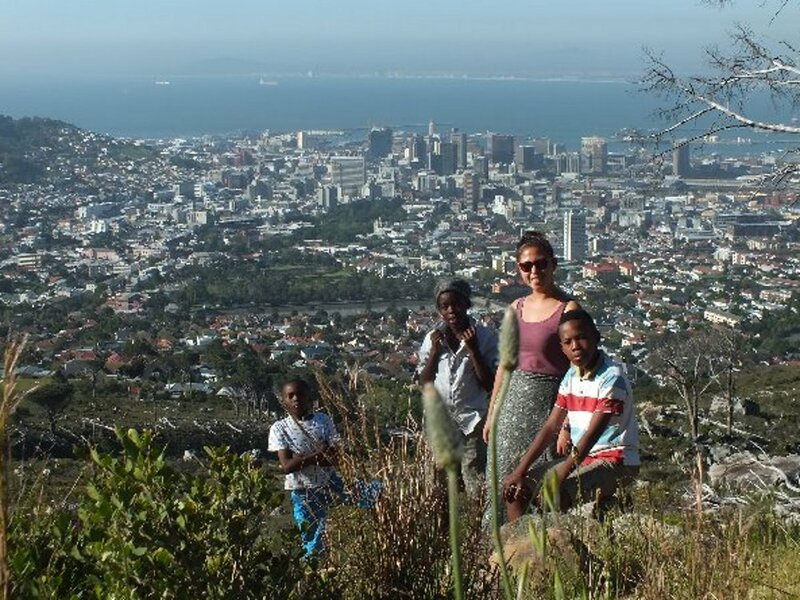 The boat trip on the ocean to Robben Island, the bus trip on the island and the prison tour by a former political prisoner are experiences that will be hard to forget! To end the day we had a nice picnic in Camps Bay overlooking the ocean. A small group of six fencers and a coach travelled to Bonnievale in the Western Cape for competition, their first competition of the year. It was a long journey of almost 800km to reach the destination. For most members it was the first time to travel that far. 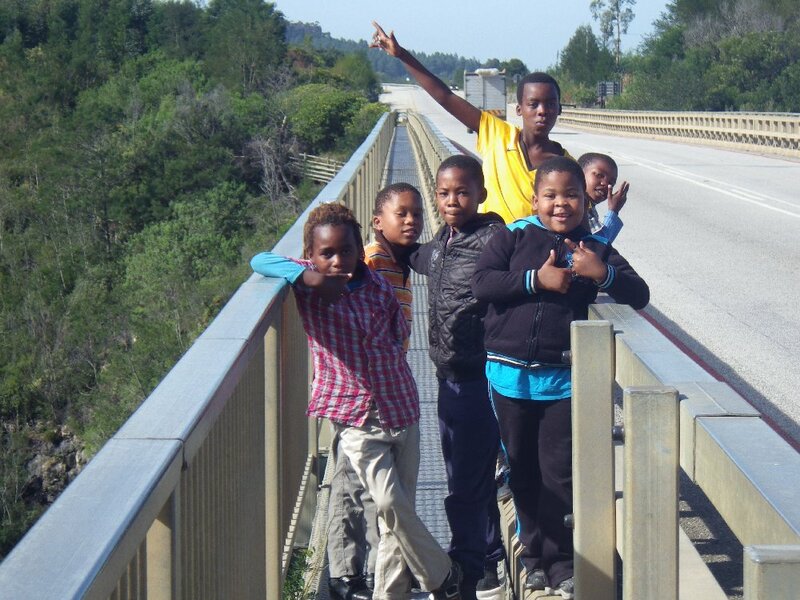 The first picture shows the fencers on the halfway break: walking the 120m high bridge over the Storms River. For most it was also their first ever fencing competition. It was a great experience, but fencing competition is hard. There are only four age groups, all the way from minis to seniors, and there are no levels, so as a beginner, you compete against the best in the country. 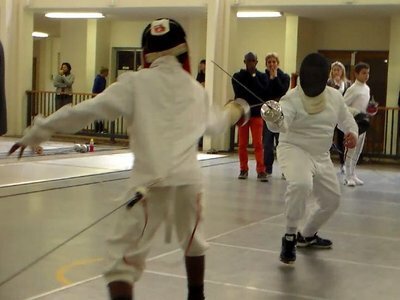 Our guys competed in a group of 24 fencers in the Cadet Men's Epee. Despite being a young and inexperienced club, we proved to be just as competitive as the other clubs. Well done to Aphelele Hlekani and Ahlelele Makeleni for making the finals! We are looking forward to the next fencing competition, we know we will do well! 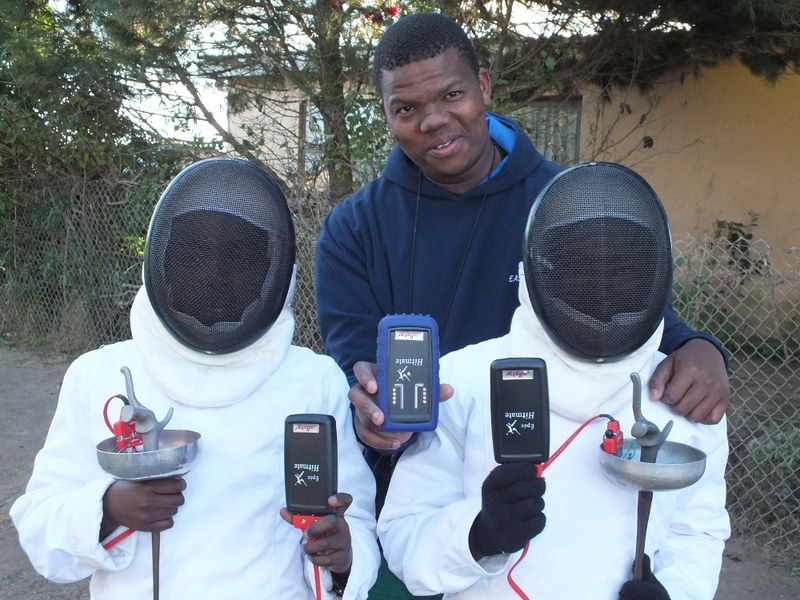 The Eastern Cape Fencing Association received fencing equipment from the national federation, donated by Lottery. The equipment was split equally between the two Eastern Cape fencing centres: Port Elizabeth and Port Alfred. Each centre has two clubs, an established club and a starting club In Port Elizabeth Excelsior looks after Motherwell and in Port Alfred Nemato looks after Ingubo. Lack of equipment was holding us back With the new equipment we do not yet have one set per fencer but we are in a far better position than before. The weapons are good quality competition epees what help us in competitive arenas.